The third in Ms. Levitt's series of "lost" synagogues of New York's five boroughs focuses quite a bit on buildings in my neighborhood that formerly housed Jewish congregations. I've lived in three Manhattan zip codes (and one in Brooklyn, if you're curious, 11222). My current 10002 has 22, the one I lived in the longest, 10009 has 14, and the other, 10003 has 4. Levitt covers 32 others, as well, but to me, the book is primarily a Lower East Side party. Most of the buildings she describes in my neighborhoods are familiar, though I wouldn't have guessed that many of them had once been shuls. This novel about 19-year-old corps de ballet dancer Hannah Ward reminded me a little of the nun memoir Through the Narrow Gate because it was about the protagonist's struggle with the sacrifices required to please her god, in this case the artistic director of the "Manhattan Ballet." I grasp onto the nearby silver pole, steadying myself as the train lurches along, my hand slipping on the smooth surface, vying for a safe position along with half a dozen other hands. Today, everything about New York leaves me feeling like I'm competing for space, and just barely hanging on. Like with First Spring Grass Fire, you wonder of Someday, Someday, Maybe how much of the story of a young aspiring actor in NYC written by a former young aspiring actor in NYC is autobiographical. While reading it I was thinking that it's possible that fictionalizing one's life might make it easier to tell the emotional truth. A companion to Life as We Knew It, The Dead and the Gone tells us what it was like in Manhattan after the moon got knocked out of place and messed up life on Earth. If a zine girl is going to write a memoir, I'm going to read it. Sheila does a better job than most at making the leap to the big spine. I don't have any complaints as far as that goes, like I often do. The editing and production are good. The only thing that bothered me at all is that I'm pretty sure I recognize one of the background characters, whose identity is concealed only by a very minor name change. I don't usually care for novels without likable protagonists, but I found Hooked to be compelling and enjoyable even though the narrator, Thea Galehouse, is pretty apathetic and presumably depressed. Her parents are self-absorbed and helpless, and Thea's boyfriend doesn't seem to have much special about him other than his potent sperm. The characters I like best are Carmen of the yarn shop and Thea's best friend Vanessa. As I mentioned in my previous review, I was saved from the unimaginable discomfort of having nothing to read on the 8-hour overnight bus ride home from Pittsburgh. My savior was Kelly McElroy, who as I tweeted via BarnLib has a reading life I'm jealous of--serving on ALA/GLBT round table's gay bibliography posse and being in a celebrity memoir book club. She gave me first A Year Straight and the next day Jennifer Baumgardner's new book. (Kelly must be a mad-fast reader, something I think would be more of a blessing than a curse, unless you had, like Kelly, and endless supply of gay books to read.) Azzoni's confessions are a pretty quick read, so maybe Kelly is neither blessed nor cursed by speedreading. This is the kind of thing I eat up--teenage dancer dealing with race issues. Vicki is enrolled in a competitive program at the School of American Ballet. The 14-year-old hestitantly leaves her divorcing parents and younger sister in New Jersey and spends the summer with her aunt (mother’s best friend, not sister) on the Upper West Side of Manhattan. Well, she’s psyched to do it; she loves to dance, but it is daunting. 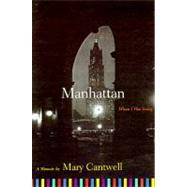 Cantwell’s memoir begins after she graduates from Connecticut College 1953 and moves to New York City to be a writer. She is a Catholic from a WASPy town in Rhode Island, but passes well enough. Her mother is not impressed when she marries a Jew fairly soon after graduating. But she’d slept with him, what could she do? I don’t mean to mock. On the outside Cantwell isn’t someone I can relate to, but the quality of her writing voice really got me, both its competence and its appeal, if that makes sense. It seems like the better the writing I’m reviewing the worse my own gets. “I was, but now I understand that the more books and pamphlets there are, the more men will read.” He dropped his voice. “And with this machine, we can make up our own pamphlets when the boss is out and melt the evidence before he comes back.” He leaned back in the sunlight, very pleased with himself. The Williamsburg Bridge was its own sin. Its construction, Lena told me, made hundreds of people homeless when their buildings were torn down. A little like pogrom of progress, burning anything in its path, making Jews take to the roads with everything they owned on their backs, or move in with their relatives and landslayt, crowding more than we were ever crowded in Kishinev. This is such a Rivington Street readalike that it’s hard not to compare the two. Both begin in Russia around the turn of the 20th century and move to the Lower East Side after a pogrom. Both are about young Jewish female union workers and both have lesbian characters, and both depict the Triangle Shirtwaist Factory fire.